Dr. Darrell Carmen of Georgia Urology may be a noted physician, but first and foremost he’s a father. The Father’s Day Council, a philanthropic nonprofit, recognized this. 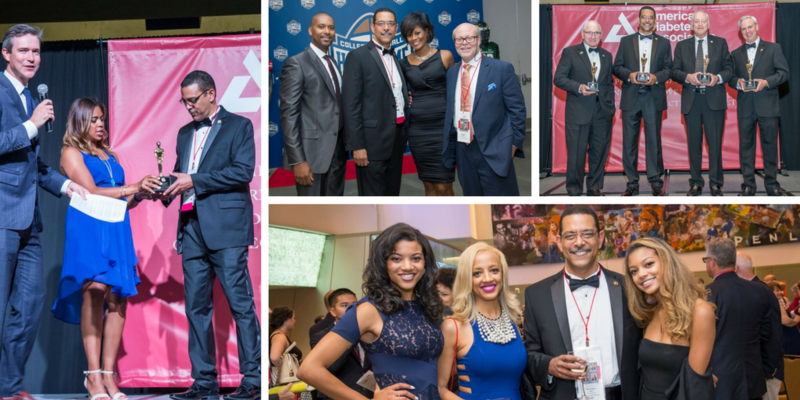 On June 29 at the College Football Hall of Fame in Downtown Atlanta, Dr. Carmen was one of a handful of Georgia-based recipients honored at the Father’s Day Council’s Father of the Year Awards benefiting the American Diabetes Association. This ceremony saluted men in Georgia who keep their families as the number one priority in their lives while simultaneously juggling challenging careers and community interaction. These annual awards, which take place in select cities across the country, attempt to heighten awareness of the importance of fatherhood. In addition to receiving the Father of the Year Tribute Trophy, Dr. Carmen was celebrated as a community leader and devoted dad in the form of a video presentation. He shared the spotlight as part of a quartet of distinguished honorees, who also serve as forerunners in their respective communities. In addition to Dr. Carmen, the Father of the Year Awards honored Vince Dooley, former University of Georgia head football coach and director of athletics; David V. Martin, Ph.D, former executive director of the Georgia Council on Economic Education; and Thomas Carroll, head of division wealth management at SunTrust Bank. Proceeds from event ticket sales helped support the American Diabetes Association. This organization strives to prevent and cure diabetes, and improve the lives of all people affected by the disease. Together since 2000, the Father’s Day Council and the American Diabetes Association have raised more than $40 million for the American Diabetes Association. 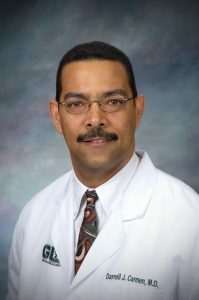 Dr. Carmen, a married father of two, is a member of the American Urological Association, National Medical Association, American Association of Clinical Urologists, and American College of Surgeons. With specialized training in robotic surgery and InterStim therapy, Dr. Carmen has urologic expertise in prostate cancer, erectile dysfunction, penile implant surgery, urinary incontinence, and kidney stones. Watch the video made for the event by Dr. Carmen’s family below! You can also hear Dr. Carmen speak about the honor during his recent radio appearance on The Weekly Check-Up with Dr. Bruce Feinberg on News/Talk WSB! Dr. Carmen practices out of the Camp Creek (3890 Redwine Road, Suite 112, Atlanta. 404-766-7151) and Riverdale (33 Upper Riverdale Road S.W., Suite 105, Riverdale. 770-991-0020) locations. To learn more about the American Diabetes Association and to make a donation in Dr. Carmen’s honor, click here!